A significant period of transition led to a community questioning its identity. 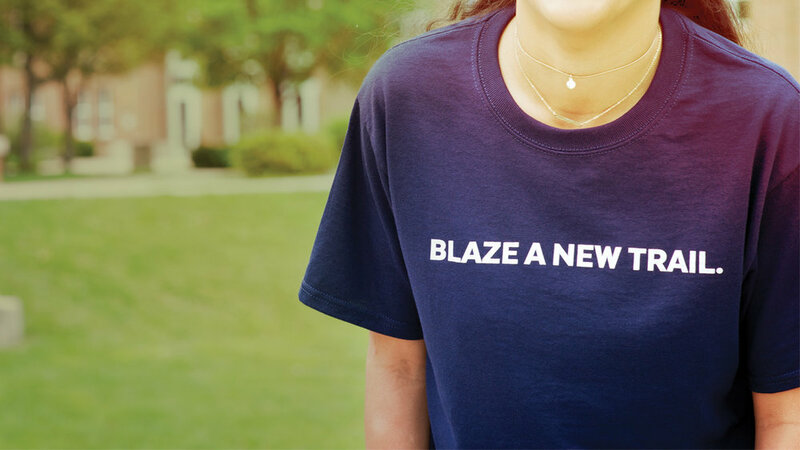 Marietta College needed to reinvigorate its brand to unite its community, empower the admissions staff and attract a new generation of students. Following the brand rollout, first-year enrollment rose 12 percent, reversing an eight-year decline. After extensive qualitative and quantitative research, including demographic and external perception studies, Creosote developed a brand expression that would reflect both the hardworking nature of Marietta students and their adventurous spirit. We unveiled “Bring Forth A Pioneer” at a communitywide brand rollout celebration, along with a comprehensive brand guide and department-specific brand training sessions for the admissions and communications offices. Within the initial year of our partnership, first-year enrollment grew 12 percent, halting an eight-year decline. Following the second year, May 1st deposits showed a 35 percent increase over the previous year and a 71 percent gain over the two-year period.